Mercy Ships is a global faith-based charity operating the largest non-governmental hospital ship in the world. Joining the Africa Mercy team will be a missions-centered endeavor for me as the organization follows the 2000-year-old model of Jesus, bringing hope and healing to the forgotten poor. For 40-years, Mercy Ships has provided free, world-class healthcare to developing nations along the coast of West Africa. My one-year of volunteer service begins August 2019 following a four-week training at the organization's International Support Center in Lindale, Texas. Following two-weeks of practical, hands-on service working with Africa's, I will join the ship in Senegal. This experience was handpicked for me by God. The training fosters invaluable personal growth, and I am in a season of bold spiritual service. At the end of last year, I asked God to change the trajectory of my writing life, enlarge my territory, and sustain my health. He did all three. Who better than me to pen the surgical journeys of the poor? I have a heart for the human condition. I am ready, and I feel both lucky and blessed. This is missions work, and I must fund my own volunteerism through donations and pledges. My campaign asks first that you join me in prayer throughout this endeavor. Don't have the funds today? Pledge any amount and pay before May 31st. I leave in June. MAKE A MONTHLY PLEDGE TO HELP ME DURING MY 12 MONTHS OF SERVICE. * my equal sign is broken!!!!! I am finally back in Tallahassee at my own desk. After opening much mail and uploading multiple PDF files, I've put together a binder for my Mercy Trips journey. 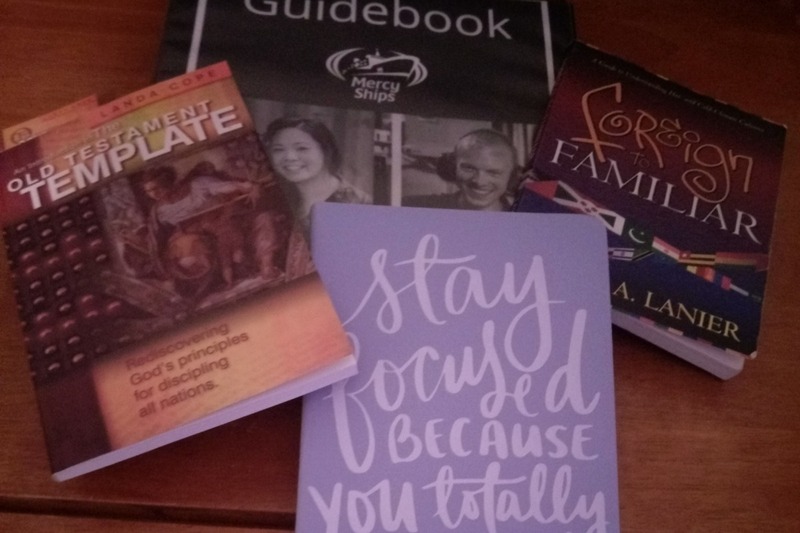 Two of the books I'll be using during onboarding training in Texas have arrived (with homework), and I invested in a new journey that themes the appropriate message "Stay focused you totally got this!" Thank you immensely to my recent donors who generously offered financial support and services. What's beautiful about people being in your corner is that the following good folks I haven't seen in over a decade (plus). and two who asked to remain anonymous. my ever supportive sister Natalie Burgess went over and above and sent an additional $100. Gratitude is essential to humility and I am humbled by your friendship and support!